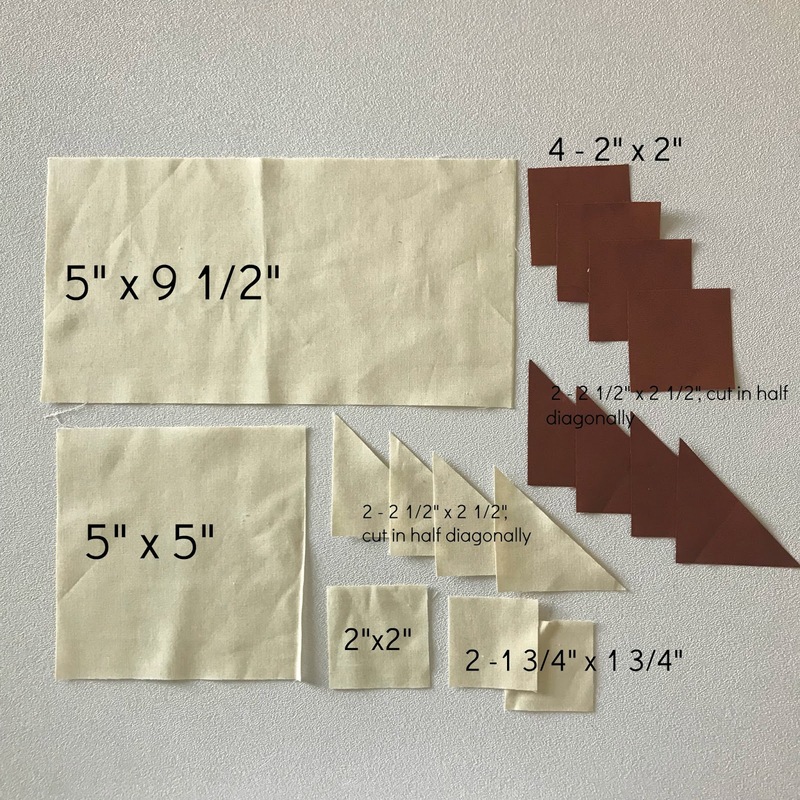 The idea for this quilt started by thinking I would make a fall version of my Delta Breeze quilt using my very favorite fabric, Oakshott cottons. 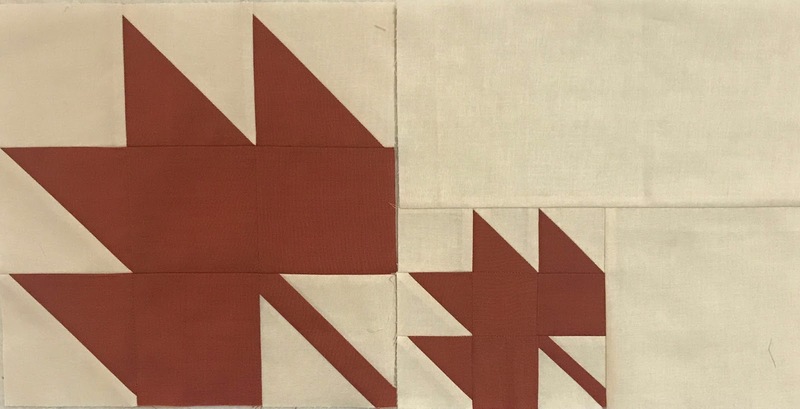 I soon realized that I could easily use the same idea as in Delta Breeze, two sizes of the same block, but make maple leaf blocks instead of bear paw blocks (there is a small tutorial at the end of the post in case you want the dimensions for the block with the small maple leaf). I gathered all the fall colors--golds, rusts, browns--and once I started putting the blocks on the wall, I realized that green would give it an added bit of interest. For the background I used as many different creamy neutrals of Kona cotton as I had on hand. The blocks go together very quickly, and before I knew it, it was ready to be quilted by the fabulous Darby. I was hoping to take some photos at Hillcrest Farms, a pumpkin patch about half an hour away. It was a beautiful fall Monday, all the school buses carrying kids on a field trip had left, and I was there all by myself. The owners gave me permission to wander around alone, which was so much fun. It was quiet and peaceful (although at times just a tiny bit eerie). Here are some of my favorite pictures. I was a little spooked by this guy. Thankfully he didn't start talking to me! 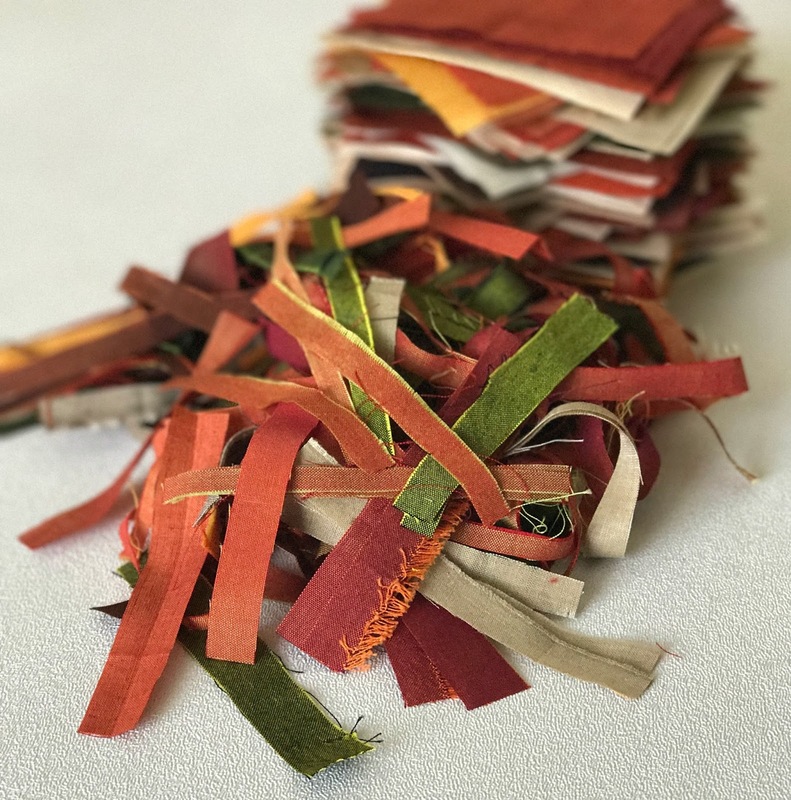 The stem is made using the stitch-and-flip method. Draw a diagonal line on each of the 1 3/4" x 1 3/4" squares. Put one light square on the 2" darker square. Stitch on the line, trim to 1/4", flip over and press. Repeat on opposite corner. Then lay out and sew your maple leaf block, add the 5" square to the right side, and then 5" x 9 1/2" rectangle on the top. Flip them in any direction. Add the larger blocks and have fun making your own version. I'm linking up to Crazy Mom Quilts, Confessions of a Fabric Addict, and TGIFF. I love the quilt and the picture setting is perfect. Fall colors make the prettiest quilts. What a lovely location to show off your beautiful quilt!! Maple leaf quilts are my favorite for autumn. I'm so glad you added the green to the rest of the fall colors. I always think that the time before peak color is the most beautiful when there are still some greens mixed in. Thanks for taking the time to share the info for the smaller leaf. 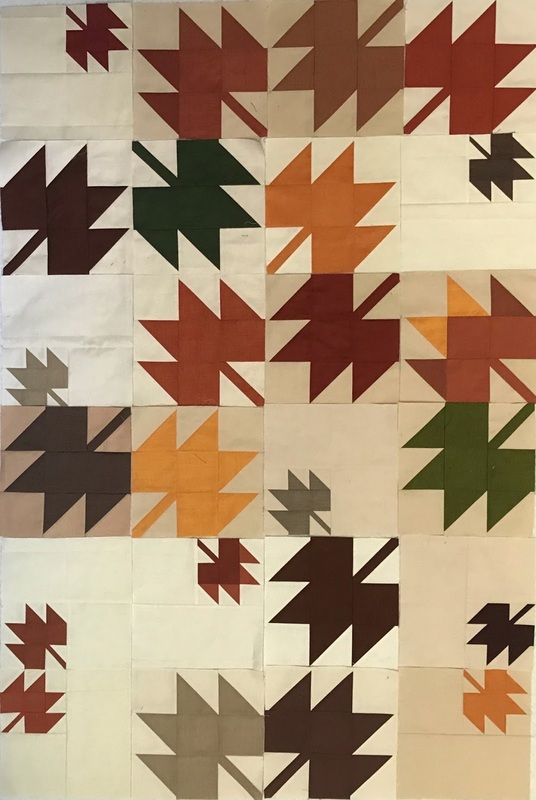 Perfect idea and translation of Delta Breeze into a fall quilt. I just love, love all the photos you took at the farm. All of them are so nice. Sometimes I feel a little too intimidated to take the photos I'd really like to outdoors and don't take the time to arrange the quilt well or look for the best angle. You did good! Great quilt and awesome setting for pictures. Wow! What a fantastic photo op! Your quilt is gorgeous. I really love fall themes.